A good work-life balance is equally as important for employers as it is for employees. Unfortunately, over time long working hours have become the norm, although this has brought its own set of issues with it. If employees have an even balance the chances of them simply burning out is far higher which will be echoed throughout there work. There is a new shift where companies are attempting to promote a work-life balance. 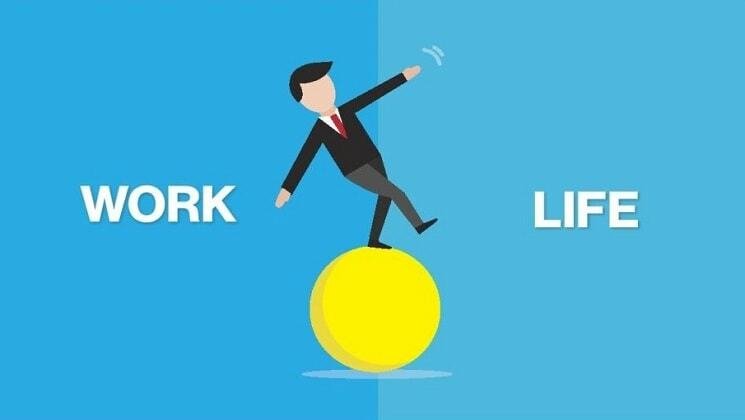 Promoting a good work-life balance does not mean that employees take Friday off every week but rather it can mean that their working life does not necessarily come first. It can be as simple as allowing employees to work from home one day a week or working flexi-time so that they can drop kids to school in the mornings. Some companies are slower than others to take employee well-being into account, as they do not have a clear understanding of what the advantages of a positive work-life balance and how it can affect your company. There are many things to consider as to why a good work-life balance is important for employees and their well-being. Productivity will be improved: We are all only human, our energy levels can only stay high for so long. Burning employees into the ground will only allow your business to grow to a certain point. According to the Harvard Business Review ‘[i]the psychological and physical problems of burned-out employees cost an estimated $125 billion to $190 billion a year in healthcare spending in the United States.’ The cost of implementing a better work-life balance will be a drop in the ocean in comparison. Employees need to be given time to relax and live their own lives so that in work they are focused and maximising potential. Employee wellness in this regard is as essential to a company as the PC on their desk. When employing top talent as an employer, keep in mind that such talent will have many opportunities and you need to make your company as attractive as possible. By encouraging a work-life balance in accordance with your corporate wellness scheme, individuals will be more attracted to your company. It will also help you keep the talent that you currently have when your employees are happier, they are more likely to stay. Think in practical terms here, if your employees spend most of their time stressed in work or commuting to and from work, their health is bound to take a dip. Stressed and unhealthy employees are bound to take more time off work which will increase your levels of absenteeism. It is important to remember that investing in employees is not just wellness, but it is also a good business move, a work-life balance strategy is not a new buzzword that is here today and gone tomorrow. There has been a shift in recent years and people are now expecting to be able to live seven days a week and not waiting for the weekends. This change is crucial for any employee wellness strategy plan and is fundamental to employee wellness. It is just basic logic, when nearly two thirds of employees have experienced a negative effect on their personal life, including lack of personal development, physical and mental health problems, and poor relationships and poor home life they are not going to feel energised or happy enough in their personal lives to give 100% in work. By approaching work-life balance from a business perspective it is very simple. By allowing employees to optimize their work-life balance, the company will see a greater response which will have a huge positive effect on the company.